So, for my first post I'm going to put up a card I made yesterday. I used the LOTV stamp 'Pretty Bouquet' and some freebie papers that my mum had given me. Coloured with promarkers. Enjoy and have a lovely new year! Just gorgeous. Beautiful colouring and I love the doily. 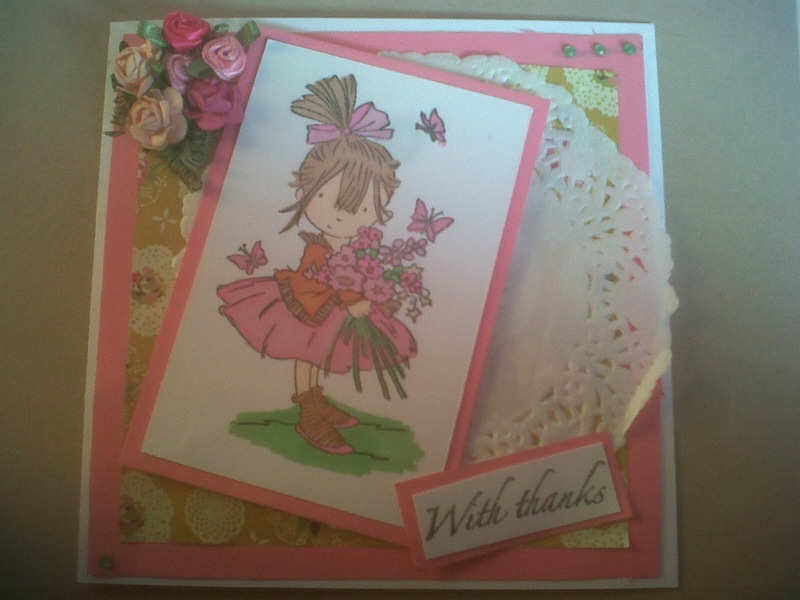 This is a pretty card Kayleigh, such a sweet image and beautifully coloured. I can see your Mum has some competition. This is gorgeous, I love the cute image and pretty colours. Gorgeous card Kayleigh, welcome to blogland. Blogger wouldn't let me join tells me I am already a member??? ?